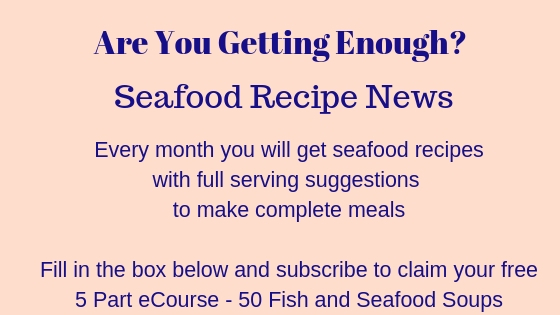 There are two seafood bisque recipes here for you. Bisque is a thick creamy soup originating from France. 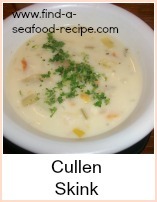 Many areas have their own type of bisque and you can make them out of most shellfish. 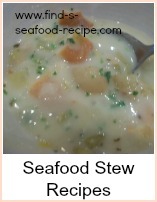 The second recipe here is a frugal bisque which you can make out of the shells alone - so you can eat your lobster, then use the shells. 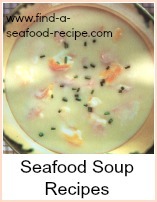 It is a luxurious soup and well suited for a dinner party. Take the meat out of the lobster and set aside. Soften the onion, carrot and celery in a pan. Add the broken shell and water to make your fish stock. Bring to the boil and simmer for about 30 minutes. Use about a quarter of it to boil your rice until it is soft. Put the rest of the stock into another pan. Pour the brandy into a ladle and hold over heat until it flames, add this to your 'main' stock. Add the wine and leave it to simmer for about 20 minutes. Take your cooked rice, stock and tomatoes and blend them to a fine consistency - either use a food processor, blender or push through a sieve. Add this to the soup. Chop the lobster meat and add to the bisque. Reheat and add black pepper to taste. 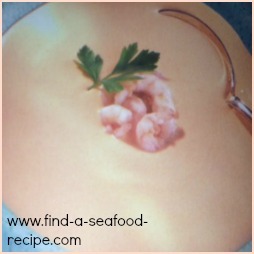 This seafood bisque recipe uses the shell from a lobster that you have already enjoyed - (or you could substitute crab or prawn shells) plus a little reserved meat. The lobster/crab/prawn taste comes from the shell. You make the bisque in exactly the same way as the previous recipe, but you just use the shell to make the stock and add either some reserved lobster, a little bit of crab or a few prawns to make your seafood bisque. A couple of tablespoons of thick cream swirled in at the end of cooking will make it quite luxurious. Two bisque recipes, one 'frugal' using the shells left from seafood and the other a super duper full on lobster bisque.